A better way to capture charges. 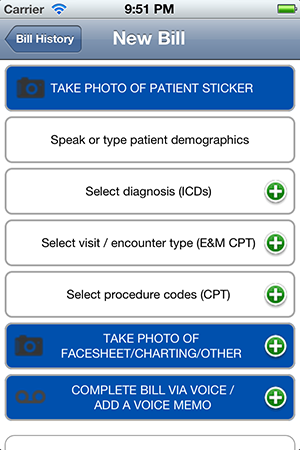 Capture patient info with the snap of your device's camera! 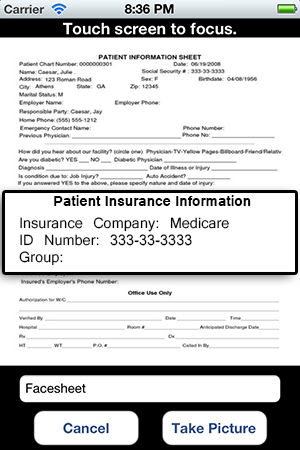 Practices can lose upwards of 10-15% of revenue due to lost encounter forms. SwiftPayMD ensures claims get submitted for all services rendered. SwiftPayMD lowers the expense of back office claims processing doing away with handwriting interpretation and error prone manual data entry. Delayed submission of charges starves practices of valuable cash flow. SwiftPayMD accelerates time to payment decreasing accounts receivable. Created by doctors for doctors. We know physicians have no time to spare, so SwiftPayMD was engineered to fit the way clinicians work. Have a patient hospital sticker? 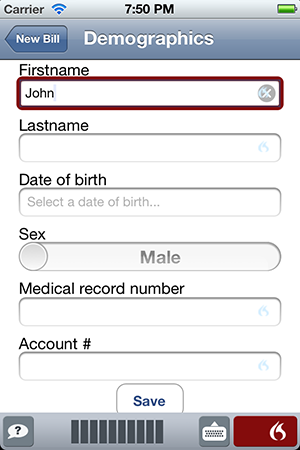 SwiftPayMD makes creating a new patient as simple as snapping a picture of a hospital patient sticker or wrist band. Free your thumbs from typing. 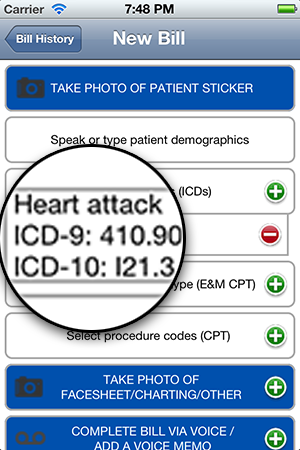 Use real time, HIPAA compliant voice to text technology to speed charge creation and navigation. Make today the last day your biller asks you for your face sheets. 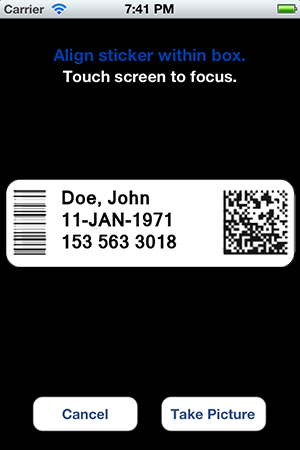 Deliver face sheets to the back office with a snap of your device's camera. Ever been frustrated trying to find the right code? 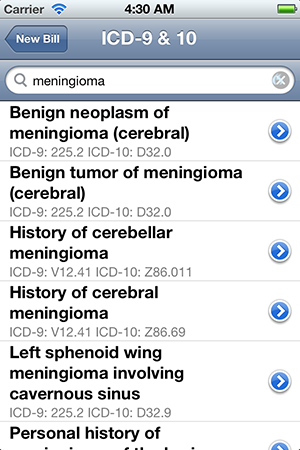 SwiftPayMD makes finding codes easy and allows you to do so speaking like a doctor. SwiftPayMD keeps up with changes in diagnosis coding so doctors, NPs and PAs do not have to; they can focus on caring for their patients. Both plans include a 30-day free trial. No credit card required. SwiftPayMD uses bank strength encryption to keep your data secure. Multiple methods are used to protect data both in transit and at rest. SwiftPayMD backs-up your data routinely and is always prepared for the worst. We obsess about disaster recovery so you don't have to. SwiftPayMD tracks and logs all user activity. Administrators can audit the log as needed for compliance and forensic purposes. We are a provider of charge capture, medical billing, and revenue cycle management software that helps healthcare practices maximize financial performance.